Most of us never assume we are going to be in a car wreck. However, there are several each day all throughout the State of Texas. In fact, thousands of folks just like you and I are killed each year on our roads. Although you may not expect to be in a wreck, you need to know what to do after a car wreck if you are in one. Below I outlined some steps that you and your family can have with you so you protect yourself. The number one issue I see that we all are guilty of is not taking proper or adequate photographs at the scene of a wreck. Now, it is different if you are physically unable to. But I am talking about the instances where you are able to at least move and function at the scene. You want to take photos of your car, the other car, and the scene where the wreck happened itself. Taking photos at the scene will help us understand the circumstances that you faced that exact day and that exact time. Is it really dark there? Was it light traffic? Were there any visibility issues or did the other driver have a clear line of sight? Taking photos of your vehicle can happen later on after the vehicle has been towed away if you have medical injuries that need to be checked out at the scene or even taken away in an ambulance. If possible, take pictures of the other vehicle. We have seen where the other vehicle is suddenly repaired without photos taken or the other vehicle is not owned by the person that was driving. That owner may be responsible for entrusting the vehicle to someone that is known to be a reckless or incompetent driver. At the scene, you want to make sure to exchange information with the other driver. Take photos of their driver's license and insurance card. Take photos of their license plate. Also, write down their phone number. If there are witnesses that stopped, thank them for stopping and get a recording of what they saw. Ask them first, but that will help. With the advancement of phones now, a short video on your phone would go a long way. Just what they saw and who they felt was responsible. Then you want to get their information: full name, address, email address, and phone number. At the very least, full name and phone number. You may think that the police will record this, but many witnesses don't stay around that long. Also, the police officers are busy and have a lot of other investigation to do. You need to assist in this and the police officers will appreciate it as well. Even if your car is not safe to drive home, if it can be moved to a parking lot or a safe spot on the roadway, make sure to do that. This will help traffic be able to drive by and also allow you to safely stand next to the vehicle to take photos and exchange information. The police officer will also appreciate it so he can safely stop to investigate. Even though I've been discussing the police, you will likely already have done the first 3 steps before the police will arrive. Now, you always want to call them right away. They may NOT come out to the scene. Usually, it depends on how busy they are at that time, whether anyone needs medical assistance, and whether the cars can be driven. However, if you suspect the other driver is violent, drunk, or any other sort of serious issues are involved, make sure to tell the dispatcher right away. Then, stay in your vehicle and lock the doors. If the police don't come out to the scene, then make sure to go online to the Texas Department of Transportation and fill out a form for a report of a wreck. They have these that you can hand write what the officer would have put down. It includes the make and model and year of the vehicles (that you know of) as well as contact information for each of the drivers. Then, you can add your version of what happened. Even if you did not get medical attention at the scene by emergency personnel or go by ambulance to the emergency room, you want to keep on eye on how you are feeling physically. If you have any pain, you will want to go straight to the emergency room to get checked out by medical professionals. Now, you need to know, the E.R. is only looking for life-changing or threatening injuries. They will run some diagnostic tests to make sure nothing is life-threatening. However, you may still need treatment afterward. Rest and pain medications will help you after leaving the hospital. Yet, if the pain does not go away in a day or two, you will want to call a doctor or chiropractor to schedule an appointment. The earlier you jump on it, the better off you are. Just know that you may not feel or notice the pain from a wreck for a few days or even weeks after a wreck. This is normal. Don't disregard it or let it pass. Take it seriously. You may need help understanding your claim options for personal injury or property damage. You may need help finding a doctor or chiropractor in your area because your normal doctor will not treat you. If you don't have health insurance, you will need options as well. We are here for you. 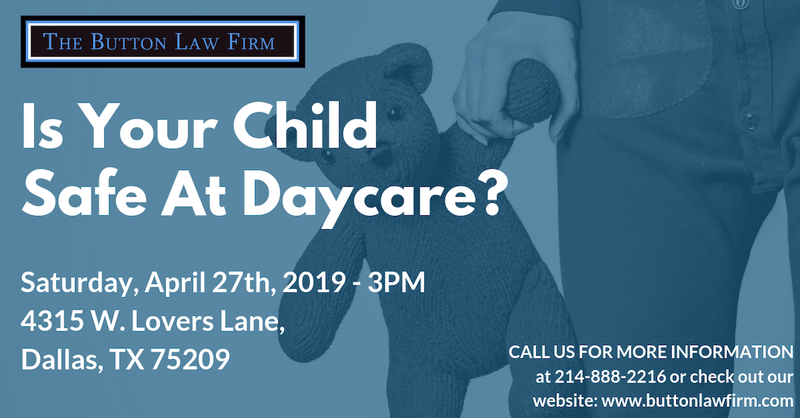 Give us a call at 214-888-2216 or fill out the form on the Contact Us section of the website. No pressure, no commitment is necessary. Just ask and we will answer.